Sign Me up for a FREE WEEK of Unlimited Training! Thinking about having your child start training in martial arts? I really think that it’s great idea! I’ve been training in martial arts since the age of 5 and the sport has provided me with so many great things during my lifetime. As an instructor I find it extremely rewarding to see the young students that train at Joslin’s Mixed Martial arts enjoy many of the same benefits that martial arts has given me. When it comes to our curriculum for children, safety is always our highest priority. All of our classes are run in a safe training environment and are designed to be extremely fun and exciting from start to finish. The program you child will take part in is made up of 100% practical martial arts techniques that work! 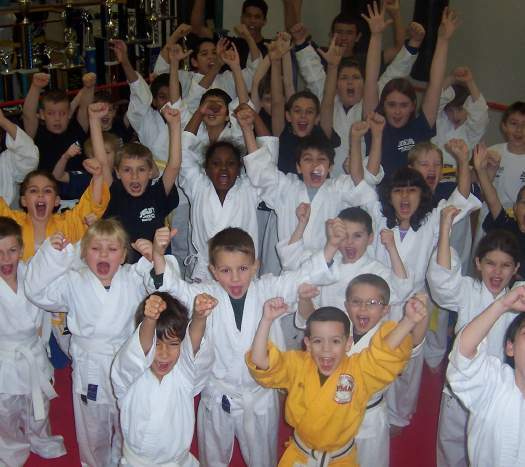 Karate is a great martial art for kids! Your child will learn the importance of focus, listening, goal setting and many other skills that will benefit them outside of the gym as well: All while developing the ability to defend themselves and keep safe. Many physical confrontations can end up with your child being grabbed, thrown or pinned on the ground; That is why we also instruct them on how to escape bear hugs, head locks, choke holds, being pinned to the floor and other very dangerous situations. By learning these things, your child will be develop self defense skill that works very well in realistic situations. In addition to the physical movements of Karate, we teach our students how to deal with aggression, bullying and other problematic issues, by using non-physical means. Starts with a 5 to 10 minute warm-up including running, jumping jacks, jump rope, stretches and plyometric exercises. 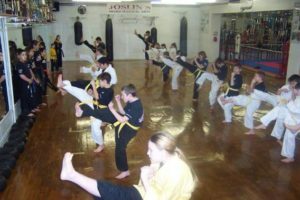 The main portion of the class which follows involves the practice of striking combinations, self defense techniques and other skill developing drills. Class concludes with a three- to five-minute cool-down that often involves a fun and skill building drill that the students absolutely love! I’d say at least 70% of real physical attacks end up on the ground. Our Brazilian Jiu-Jitsu classes will give your child a chance to spend extra time working on their ground self defense skill. 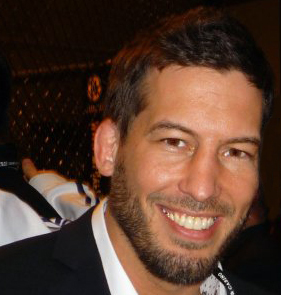 Techniques taught include break falls (learning how to fall safely), positional escapes, controlling tactics, throws, take downs, and submission holds (10 & up only). 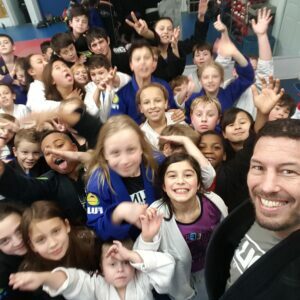 We find that children really love the Brazilian Jiu-Jitsu classes! Watch your child’s endurance, strength, co-ordination and confidence grow as they progress through the belts of Brazilian Jiu-Jitsu. Our experienced instructors run every class in a fun, exciting and safe way to ensure your child class experience is always a positive one.